Well, to be honest: A LOT! Your name is who you are. As a writer, don’t you want people to know that you wrote this compelling piece of work? As a freelance writer, there may be times where you would prefer to write under a pseudonym or to publish anonymously. 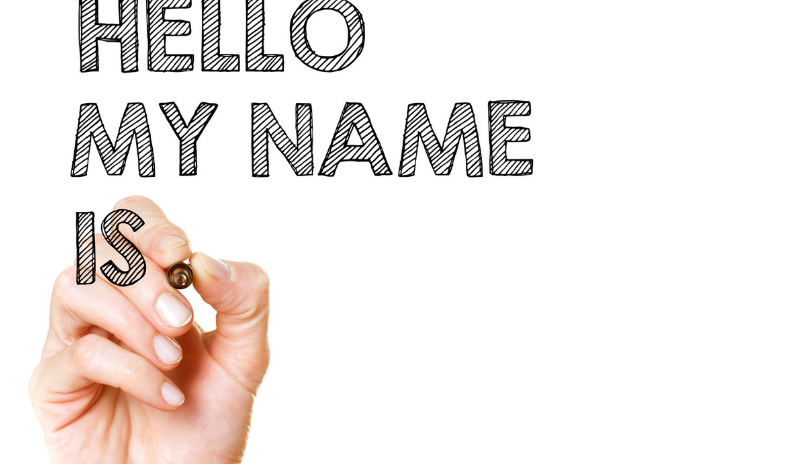 A pseudonym is essentially a name that’s not yours, or it could be a variation of your name. This may also be referred to as a pen name and is a way that you can publish something without being attached to it. You may also prefer to write anonymously, where no name is connected to the post. However, using a pseudonym consistently may be a better choice for a freelance writer if you plan to write under that name regularly. Just as you would end up creating a brand and a reputation under your name, you can show your level of work and consistency when using a pseudonym. Why might you want to write under a pseudonym? 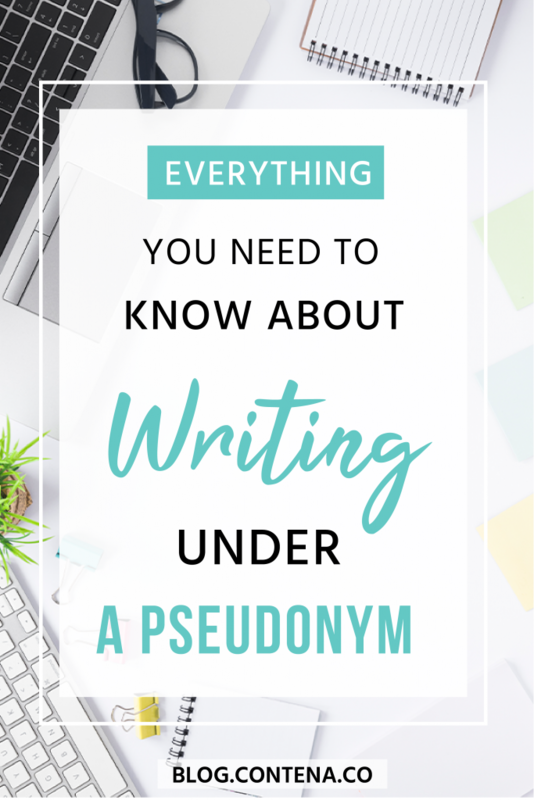 Essentially, if there could be issues for you personally or professionally, because of the content you’re writing, or you’d like to maintain some privacy, then you may want to write under a pseudonym. Are there issues with using a pseudonym? The type of work you’re doing, who is publishing it, and where it will be published all come into play to determine if using a pseudonym is acceptable. The biggest potential issue is if the site or company publishing your work is okay with it. Some publishers (blogs, companies, etc.) may insist that you publish under your name. This might be because they want to confirm that there is a real person behind the words they share. And, while they don’t want you to be attacked, it might be important to their brand and platform that readers get a glimpse of whose story or words they’re reading. So, while there generally may not be issues with it, you might find that some won’t publish your work under any name but your own. You may also find that if you write under a pseudonym, down the road if you want to “claim” that work, it’s harder to do so. That may be especially true if you only write occasionally under a pen name. Someone reviewing your portfolio may not believe that all the work is yours if you have random posts that don’t appear to be authored by you. If you tend to write in different genres (or hope to! ), you may feel comfortable writing in your name for one genre but a pseudonym for another. That’s okay- there aren’t rules, but you’ll likely want to be consistent. Ask the publication ahead of time if this is acceptable. If you’re accepting a call for pitches and you know you’re not comfortable publishing under your name, then be sure to mention this clearly when you reply to the pitch. For example, if it’s a call for personal stories of mental health struggles: you’re compelled to write, but worry this could get in the way of your social work career, then bring up the pseudonym at the time you pitch. If they typically use a photo, clarify how this will be handled. Also, since you want to get paid for your writing, and your bank account probably isn’t under your pseudonym, then you want to make sure checks are written to the right person! When you submit your article, be sure to remind your contact that you agreed that this would be published under another name, and be clear on what that name is. When the post goes live, check to make sure you’re not the named author. Unfortunately, details can be missed, and your editor may not be the one who actually sets up your content on the blog or in the magazine. Hopefully, if there are any issues, it’s for digital content, where this can likely be addressed quickly. If you find yourself in a position where you’d like to pitch an article, or are considering accepting a project but aren’t sure if you want your name attached, remember that writing under a pseudonym may be an option. Ask some questions and see if this will work for you and the publication.